Local Government New Zealand, is spending considerable ratepayer money on a campaign promoting local income taxes, regional fuel taxes and regional GST-style regimes to increase the tax burden of local councils. LGNZ today launched a review document on various options for new taxes. You can download the paper here. 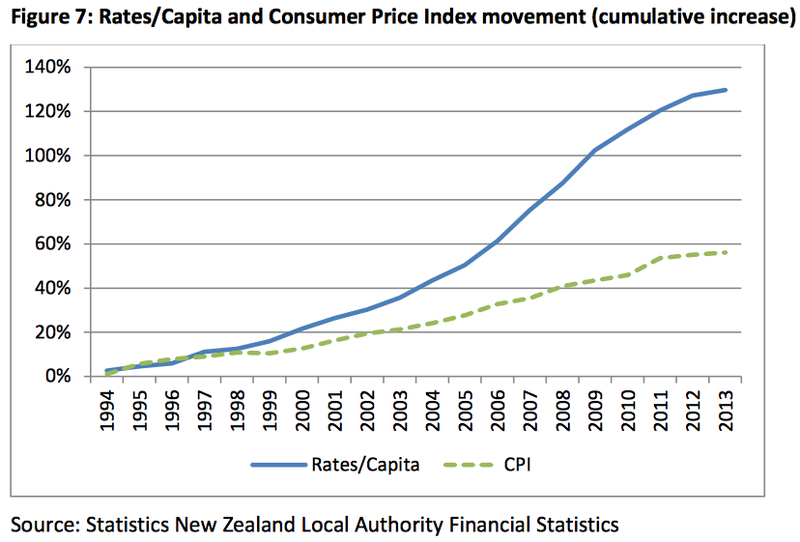 New Zealand’s average rates bill has doubled in the last 20 years, tracking at twice the rate of inflation. Instead of focusing on the quality of councils' spending decisions, LGNZ appear to be using ratepayer money on studies and propaganda promoting new taxes. We have long been concerned that LGNZ too often represents the interests of councils, rather than those paying the councils' bills! Nowhere in the discussion paper for example, do we see a disciplined analysis of why local government spending is out of control. We've also been alerted to emails where LGNZ spin doctors are sending draft opinion pieces to local mayors so that they can 'leverage local media' and promote these new taxes. Mr Yule is telling the public that the goal isn’t to increase the overall tax burden while at the same time releasing a report that isn't on ways to save money, but on ways to tax more. Few ratepayers object to the principal that all citizens should contribute to the cost of running their communities, and that those contributions should be within the ratepayers’ ability to pay. The Local Government New Zealand funding review revisits many of the issues raised in the Independent Rates Review of 2007 and repeats some of the same conclusions reached then. The difference between the two reports is that the 2007 review was looking for alternatives to rates, while this new report is aimed at raising new funds in addition to rates. In other words LGNZ, on behalf of all councils, wants to spend more, and needs more money to feed those expansive ambitions. Poll: Should councils be given new powers to impose local GST, fuel and income taxes?